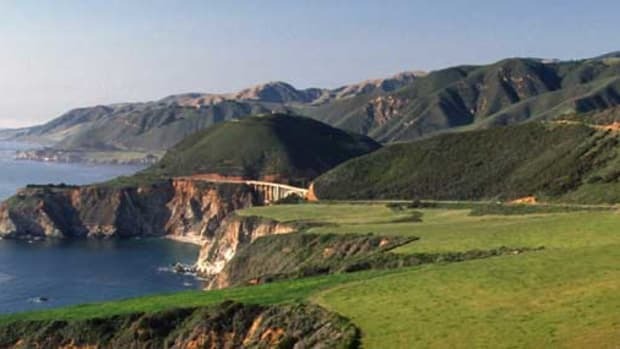 The scenic Lake District north of Liverpool is on this Arts & Crafts tour of England and Scotland. I organized my own last tour around two very different and inspiring Scottish designers: Charles Rennie Mackintosh and Phoebe Anna Traquair. 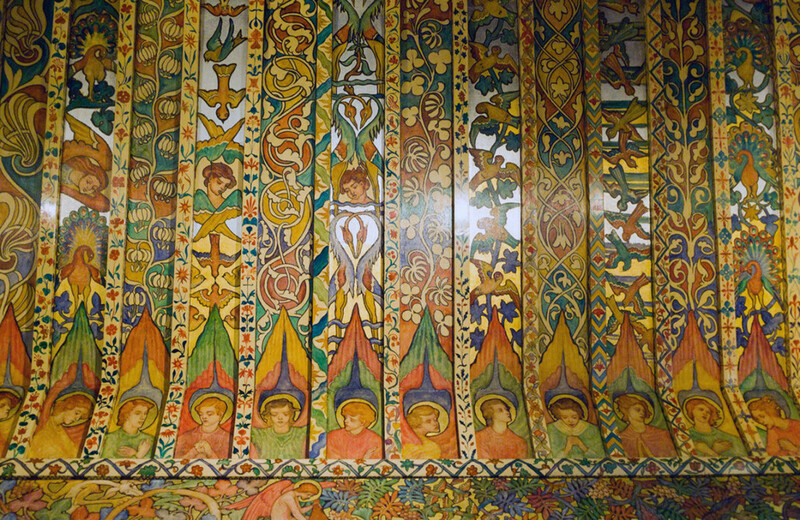 Traquair painted richly colored murals based on history and nature, while Mackintosh was known for his stylized, abstract, modernist architecture and design. I flew into London, motored north to the Midlands, then over to the Lake District, and on up to Scotland. 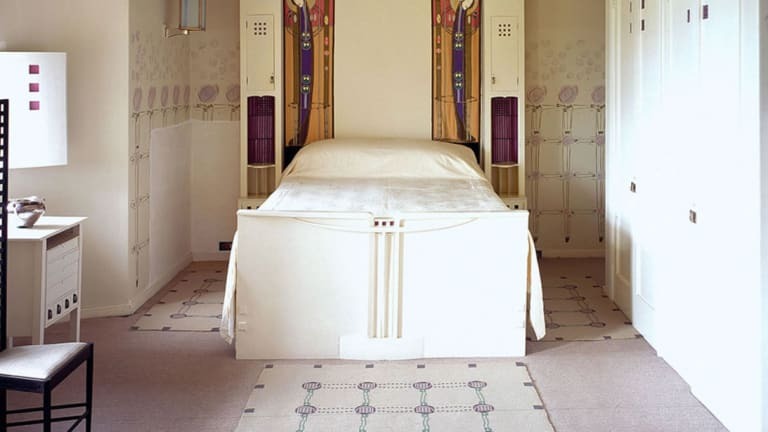 The guest bedroom at Derngate in Northampton, England, by C.R. 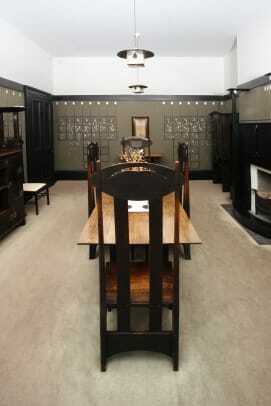 Mackintosh Photo: Courtesy 78 Derntate Northampton Trust. 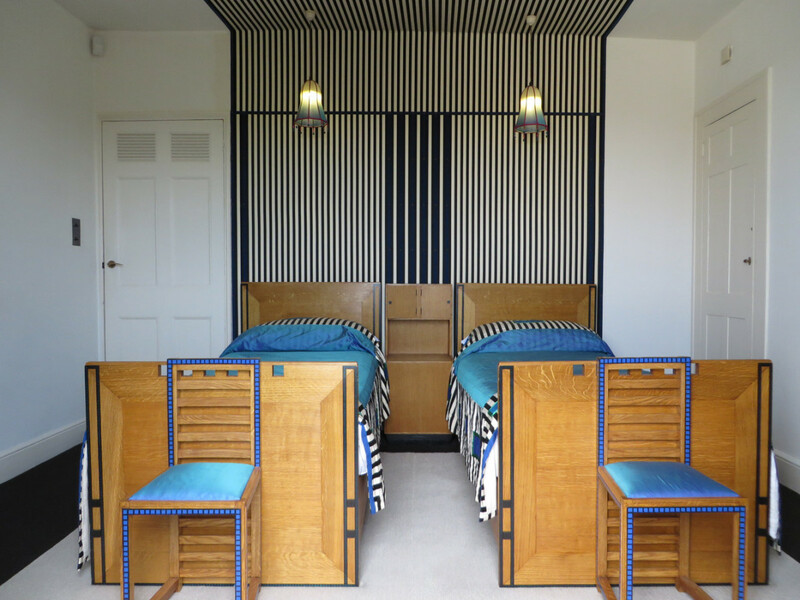 Travel north from London to the Midlands and Northampton to visit 78 Derngate, one of the few private homes ever built by Mackintosh. 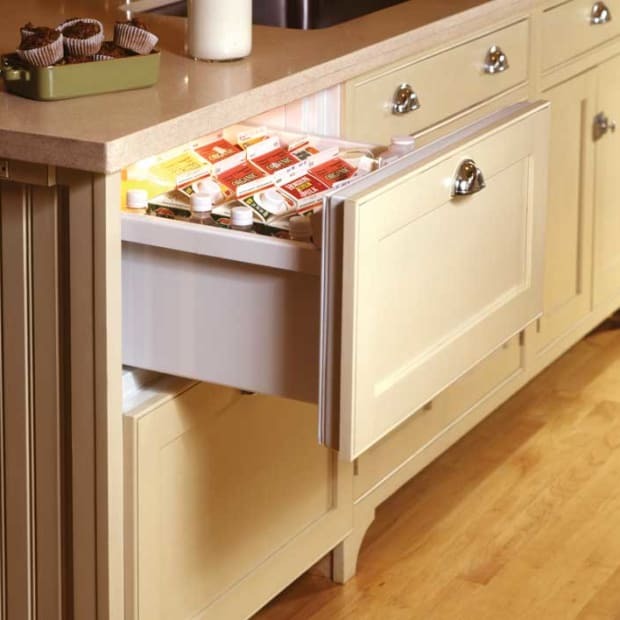 Its stylized interiors are as striking today as when they were designed in 1916. Go further north to St. Peter’s Church in Nottinghamshire; see this charming, 12century village church decorated with glowing murals by Phoebe Anna Traquair. You’ll understand why, though she lived in Edinburgh, her work became internationally acclaimed. Bramall Hall is a 15th-century Tudor mansion in Cheshire. 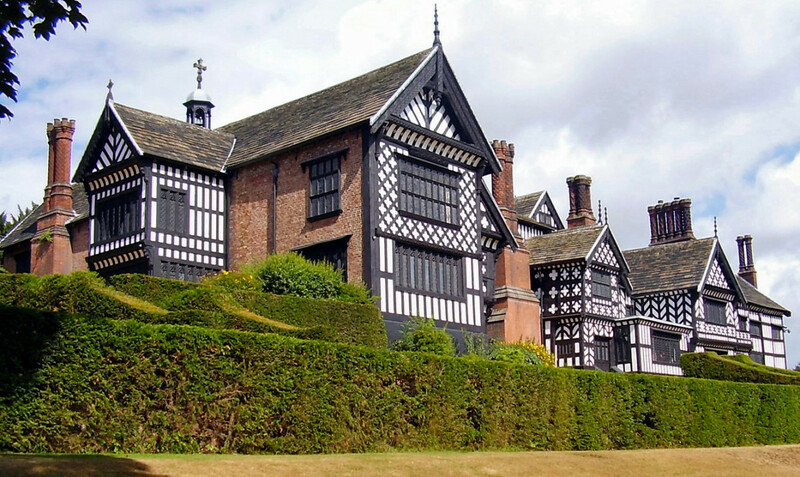 A bit further north, just south of Manchester, take time to visit Bramall Hall near Stockport, Cheshire. A magnificent Tudor mansion built in the 15 century, it was updated in the late 19 century with Arts & Crafts fittings that show how the English incorporated their rich heritage into the burgeoning movement. Manchester is a good point to spend the night. The next day, start at the Manchester Art Gallery to see its extensive collection of pre-Raphaelite paintings. The luminous paintings show how the “simple life” of medieval times was romanticized during the Arts & Crafts period. It’s only an hour’s drive west to Liverpool, where you might visit the downtown Walker Art Gallery and Lady Lever Art Gallery in Port Sunlight, both which have lovely pre-Raphaelite paintings. Don’t miss the Williamson Art Gallery hidden gem in nearby Birkenhead. 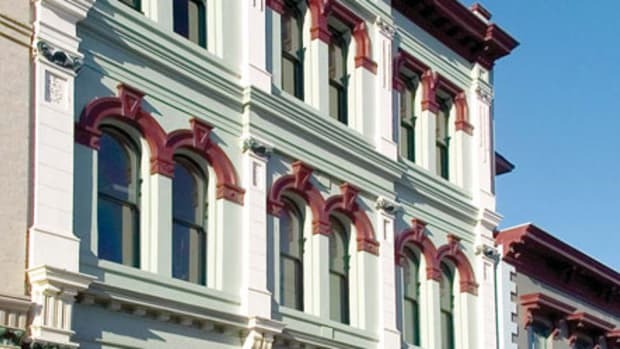 It has the world’s largest collection of Della Robbia pottery—you’ll be amazed at its breadth and fascinating history, a true story of art and craft. Drive north from Liverpool along the west coast into the scenic Lake District to Coniston, for a visit to Brantwood, the home of John Ruskin. 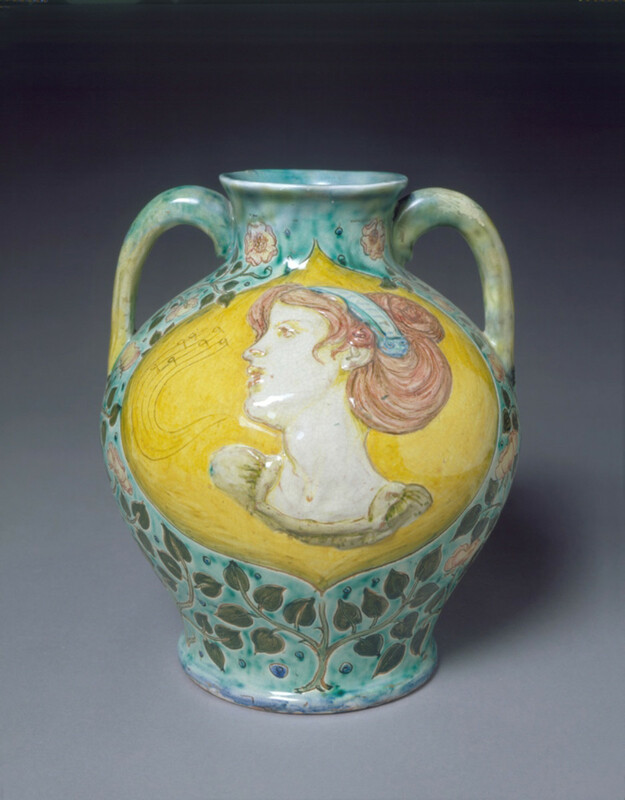 Ruskin was a major influence not only on William Morris but also most of the early A&C artists and artisans. I enjoyed lunch in the tearoom, taking time for a stroll through Brantwood’s lovely gardens above the lake. 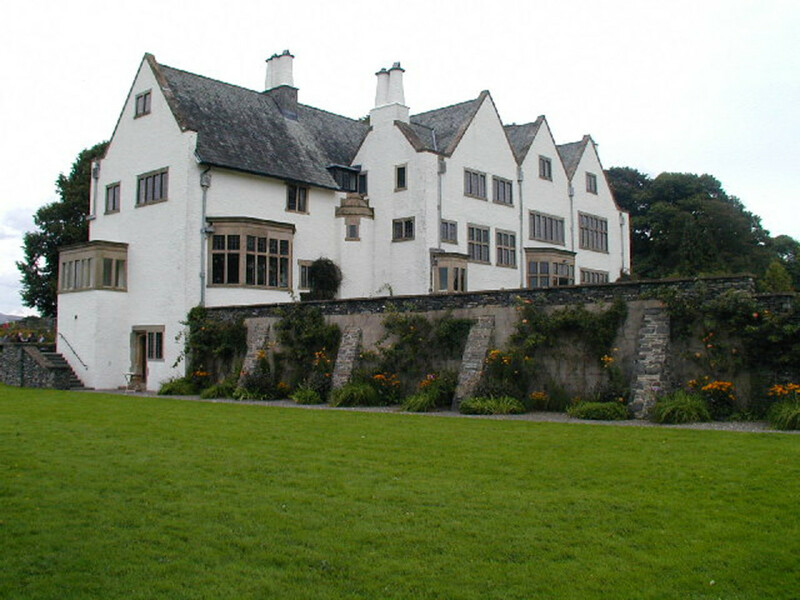 Blackwell is a premier Arts & Crafts house designed by M.H. Baillie Scott. Be absolutely sure to visit nearby Blackwell on Lake Windemere. Designed by M.H. Baillie Scott, the house is furnished with everything from Benson lighting to Morris & Co. furniture; check out the leaf-shaped door handles! This site also has a very good tearoom. Stoke yourself for a three-hour drive, pushing on north to spend the night in Edinburgh, Scotland. 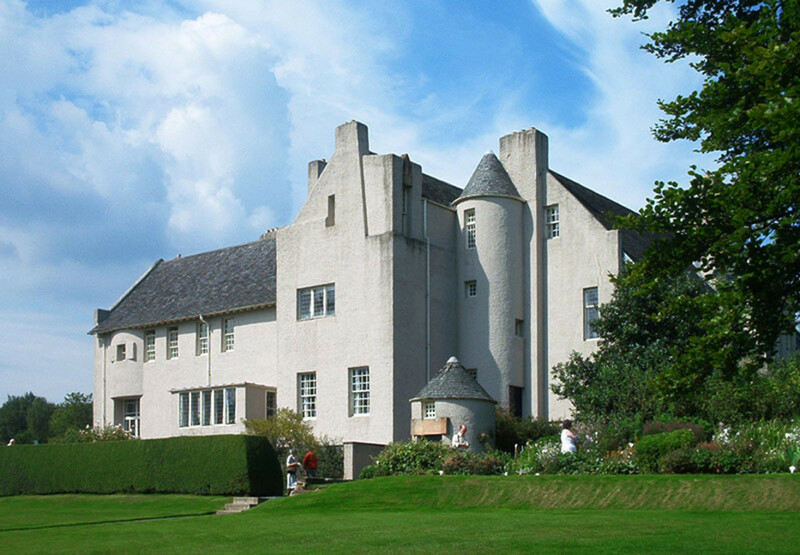 In Edinburgh, start with a visit to the breathtaking Traquair Centre. Housed in a former Catholic church, it features glowing murals by Phoebe Anna Traquair and is nicknamed Edinburgh’s Sistine Chapel. Phoebe Anna Traquair (1852­–1936) was a Scottish artist, designer, and craftsperson of the Arts & Crafts period. Her glowing murals and paintings, illuminated manuscripts, jewelry, and tapestries celebrate the work of both classical artists and as her contemporaries, in a romantic and colorful style. Internationally acclaimed during her lifetime, Traquair’s work had been all but forgotten until recently. I prefer the ambience of Edinburgh’s Old Town and recommend staying there. 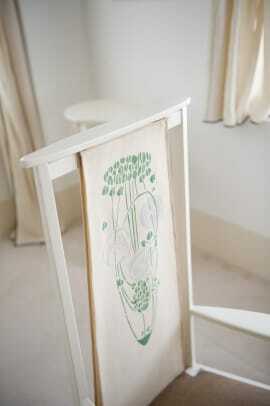 You can make the one-hour commute to Glasgow to begin your Mackintosh odyssey. Mackintosh and his wife the artist Margaret Macdonald lived and worked in Glasgow, before they moved to London in 1916. The Scottish city is rich with their work. Start with the Mackintosh House. Now part of the Hunterian Museum on the campus of the University of Glasgow, it has been meticulously restored to when Charles and Margaret lived there, from 1906 to 1914. 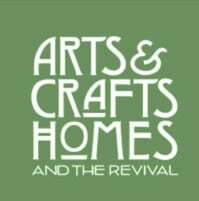 Don’t miss the nearby Kelvingrove Art Gallery and Museum, with its Special Collections of Arts & Crafts designs. The Lighthouse, now Scotland’s Centre for Design and Architecture, was Mackintosh’s first public commission for the Glasgow Herald; if you have the stamina, climb the staircase up the water tower for sweeping views of the city. While the current Willow Tea Rooms are an iconic Mackintosh design, I found them somewhat commercialized when I visited, and look forward to the current restoration underway. The Glasgow School of Art, Mackintosh’s most famous building, was heavily damaged by fire in 2014 but is undergoing renovation and the hope is it will be fully restored. 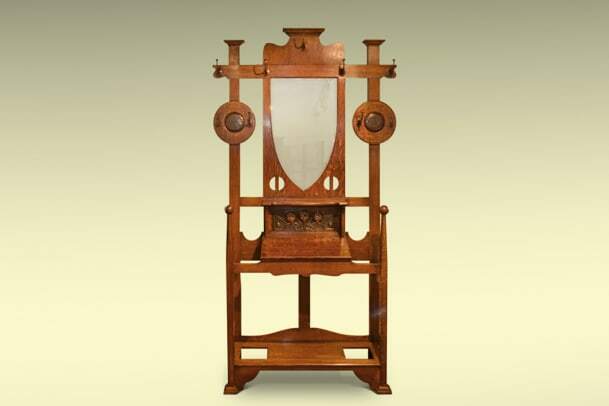 The School of Art remains closed; but we do suggest the GSA’s Mackintosh Tour to see a collection of original Mackintosh furniture and design, or the Mackintosh city walking tour. Mackintosh’s Hill House, designed 1902–04. 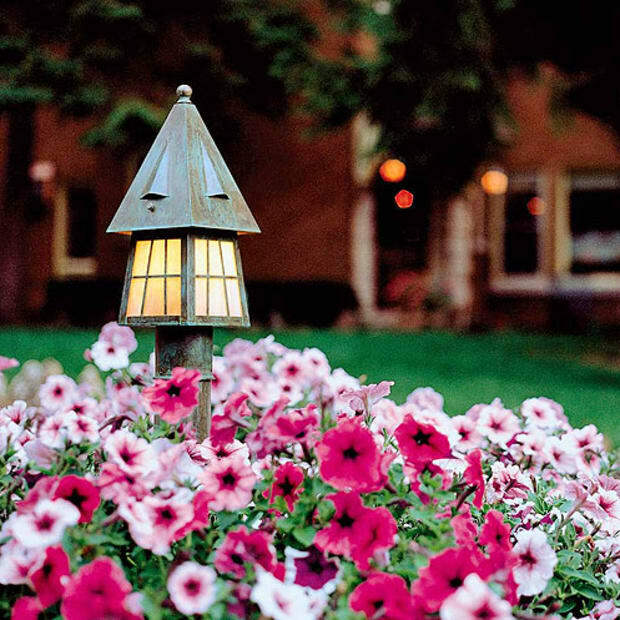 Hill House is a mere 20-minute drive from downtown Glasgow. It was built for wealthy publisher Walter Blackie between 1902 and 1904 and is considered one of Mackintosh’s premier works: a Scottish baronial castle with strikingly modern interiors—not to be missed! 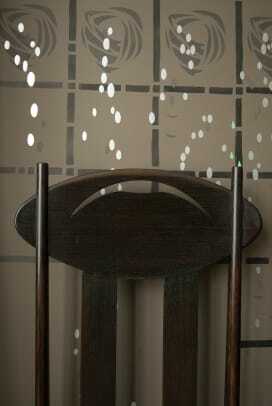 In a suburb nearly, Mackintosh’s House for an Art Lover was designed in 1901 but not built until 1996. The famous bedroom at Hill House, designed by C.R. 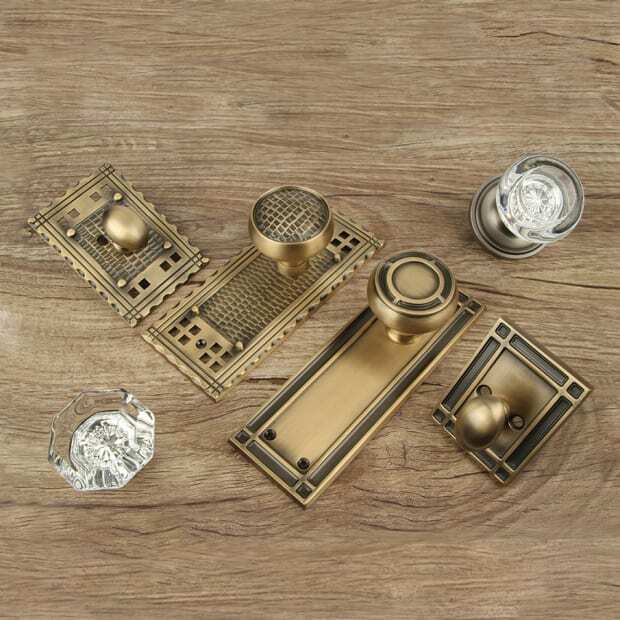 Mackintosh. 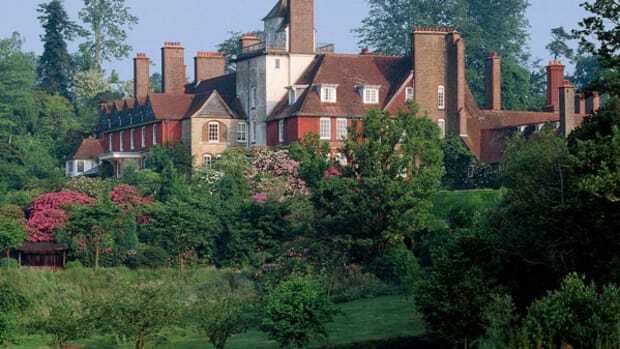 A trip to the William Morris Gallery, Morris’s childhood home and now a museum, is fascinating and a good way to understand his upbringing and inspirations, from medieval architecture to the writings of John Ruskin. I suggest the stylish, Art Deco Hotel Gotham in the center of town, a short walk from the Manchester Town Hall and Manchester Art Gallery. For an authentic taste of medieval Scotland, the boutique hotel Old Town Chambers comes highly recommended. It’s nestled in the heart of Old Town Edinburgh, near Edinburgh Castle; bagpipes are played on street corners here. Fly back to the States from Edinburgh, which has a very manageable airport.